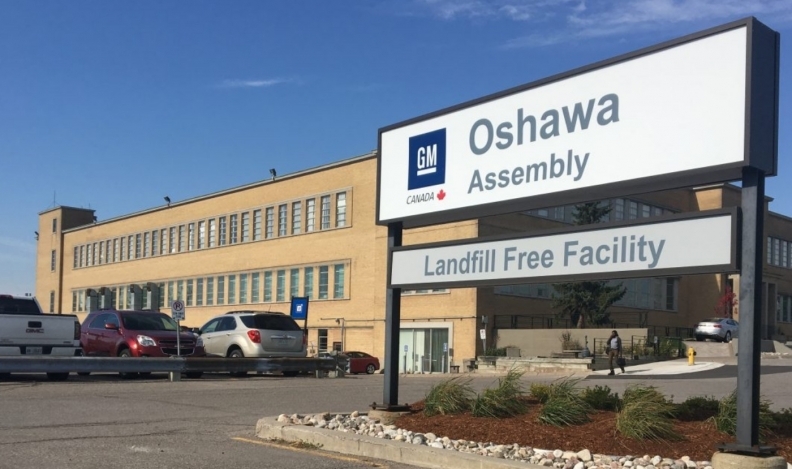 Joe McCabe, an analyst who in 2014 predicted that the GM Oshawa, Ont., assembly plant would close by 2019, said the factory’s planned closure was the result of GM needing to get its product mix in order and should not be read as a sign of the imminent demise of Canadian auto manufacturing. McCabe, the CEO of AutoForecast Solutions LLC, said the warning signs for Oshawa have been there for years. The plant builds two low-volume cars, the Cadillac XTS and Chevrolet Impala, and does final assembly on Chevrolet Silverado and GMC Sierra pickup bodies imported from the United States. GM on Monday said it would cut about 15 per cent of its salaried workforce and could close three North American assembly plants as it discontinued production of six cars models in 2019. Oshawa, as well as plants in Michigan and Ohio, have not bee allocated product beyond 2019. The moves are part of a larger shift in its global strategy to sell more profitable vehicles as the North American new-vehicle market declines and as the company invests in electric vehicles and autonomous technology. “Everyone thought [former Fiat Chrysler CEO Sergio Marchionne] was crazy when he did this with the [Dodge] Dart and [Chrysler] 200 a few years go, but he was a prognosticator. He sort of saw the future of getting out of vehicles that are just not profitable,” McCabe said. Vehicle assembly in Oshawa dates back to the early 20th Century. Its planned closure is the latest example of Canada losing auto assembly jobs as automakers invest in Mexico and the southern United States. Still, McCabe said it would be a mistake to read much more into the plant closure’s meaning beyond what it says about GM’s product strategy. “They need to focus on the product mix that is selling for them: crossovers and larger. And they have to have better utilization of their existing capacity,” McCabe said. He said most other Canadian plants, including GM’s CAMI plant in Ingersoll, Ont., Ford’s factory in Oakville, Ont., and FCA’s plant in Windsor, Ont., appear to be safe as they assemble vehicles that are crucial and profitable to those automakers. Toyota, for instance, said earlier this year that it would spend $1.4 billion to upgrade two of its three Ontario assembly plants to build the RAV4 crossover. The only other plant that might be uncertain, he said, is FCA’s Brampton, Ont., assembly plant, as questions over the future of the Chrysler and Dodge brands remain.